There are numerous ways to fight food inflation. Inflation is here… maybe… even most likely stagflation. Most worrying is the fact that the biggest price rises are in items most of us cannot do without: energy and food. An April 16, 2011 article in the Seattle Post entitled “Consumers feel the pinch of pricier gas and food” says (bolds are mine): Americans are paying more for food and gas, a trend that threatens to slow the economy at a crucial time. So far, the spike in such necessities hasn’t stopped businesses from stepping up hiring or slowed factory production, which rose in March for the ninth straight month. Still, higher gas prices have led some economists to lower their forecasts for growth for the January-March quarter. Consumer prices rose 0.5 percent last month, the Labor Department said Friday. Nearly all of the gains came from pricier gas and food. When taking out those two volatile categories, core inflation was relatively flat. But at the same time, employees are only seeing small, if any, pay increases. “People have less money to spend on goods other than food and energy and that is going to cause the expansion to slow,” said economist Joel Naroff of Naroff Economic Advisors. One way to battle the rising cost of nutrition is to live in a country where food is cheap… plentiful and the quality is good… such as Ecuador. This photo was taken by a recent reader who was traveling in Ecuador. See more Ecuador food photos by clicking here. Gary: Recently, I was in Ecuador for the International Living Conference, and Jean Marie was our guide for the Cotacachi and Coastal Real Estate Tour. In fact, I was the one who posed the question to the mayor of Urququi about how much time he had remaining in his administration and what assurance we had that his successors would follow his agricultural land sale program. However, my question here is in what village/city was this photograph (huge and varied fruit/vegetable selections) taken? These selections are just mind boggling. I would certainly consider living in this town given the selections and abundance of these health-enhancing foods. Fruit and vegetables are crucial to my health (I cured myself of colon cancer without chemo by concentrating on fruits and vegetables). One morning in Cotacachi, I went around the block from your hotel to buy some fruits to gorge on. I bought 4 (Hawaiian-Solo type) papayas, 2 huge mangoes, 2 limes to squeeze over the papayas and about 12 bananas. I gave the plastic bag to the vendor, he took a moment to compute the price, and when he told me $1.50 for the lot, I almost fainted. I thought I was dreaming. This was absolutely too good. When I returned home to Los Altos, CA, I went to a fruit/vegie stand and picked up a Hawaian-Solo papaya (from Hawaii, of course), noted that the price per pound was $2.69, weighed it @ 1.5 lbs. and computed it in my mind @ approx. $4.00 for this 1 piece of papaya. I immediately put the papaya back. The above price comparison just speaks volumes for moving to Ecuador, in my humble opinion. This reader expressed a fact that Merri and I have outlined many times. 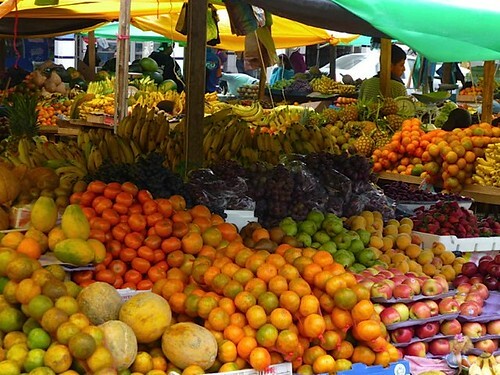 “Food is much better in Ecuador than in the US and incredibly inexpensive! 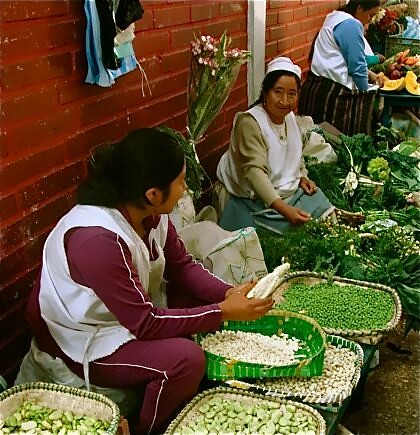 These food photos above were taken in Cuenca one of the two fastest growing areas in Ecuador. To help readers understand the fast changing pace in Ecuador I recently added a four part series on Cuenca. Read that series here. Another really fast expanding part of Ecuador (with incredible seafood) is Bahia on Ecuador coast. 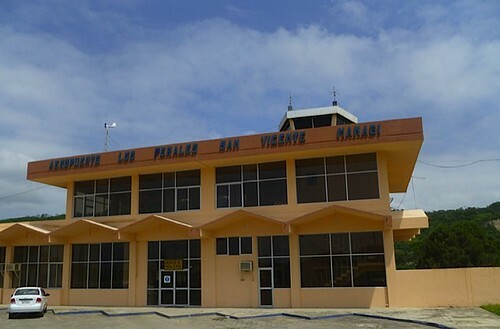 See a Bahia San Vicente Ecuador airport update here. Join Merri and me in a one year program to learn how to prosper from the forces that create inflation. See below how to be with us in person all the upcoming year. Join Merri and me as we look at ways to prosper from the forces of inflation. International Club 2011-12 Membership special until May 7, 2011 $1,499. Enroll here. Inflation is here and the US dollar will fall. This fact is conformed in an April 12, 2011 Wall Street Journal article by Cynthia Lin “Inflation Concerns Weigh on Treasurys”. Here is an excerpt: Worries that the central bank may be falling behind the curve on inflation weighed on U.S. Treasurys on Monday, even after a senior Federal Reserve official signaled that interest rates could stay low for longer. The prospect of $66 billion of note and bond auctions also dragged prices lower, strategists said. Highlighting those fears, the 10-year breakeven rate—which measures the difference between 10-year Treasurys Inflation Protected Securities, or TIPs, and nominal rates—hit 2.655% on Monday, the highest since May 2006. That signals the market’s annual inflation expectation over the next decade. As other central banks begin to tighten—including the European Central Bank, which raised rates by 0.25 percentage point Thursday—the fear that U.S. officials may be lowering their guard against global inflation has been a headache for bondholders. It has been especially troubling for investors holding 30-year bonds, those most vulnerable to inflation eroding their value. Government bonds were also under pressure from the prospect of supply. The Treasury is scheduled to sell $66 billion in notes and bonds this week, comprising $32 billion in three-year notes, $21 billion in 10-year notes and $13 billion in 30-year bonds. With a government shutdown averted, “the focus is back on how well these auctions will go and who will participate in the face of what appears to be future inflation,” said Kevin Giddis, president of fixed-income capital markets at Morgan Keegan. Still, the policy debate underscores an increasing focus on inflation. This means that while the US government continues to borrow to spend, other governments are cutting back… a sure sign of US inflation and a weakening greenback. We consider this risk so high that we have taken the unusual step (the first time in our 43 years of business) of setting our 2012 Spring schedule.Then we created a new option so you can participate in all these seminars and course into 2012. There are five ways to combat the destructive inflationary forces that will raise havoc with your purchasing power. #4: Living in lower cost zones. The big benefits of belonging to the International Club is the power of repetition, updates and international friendships. As a club member you become friends with other members as you meet again and again. Your first savings is $7,690 in 2011 and 2012 just on waived seminar fees. As you will see below you can attend 11 Florida & North Carolina seminars that would otherwise cost $9,189. The $1,499 membership saves you $7,690. Join us and our International Club 2011 – Spring 2012 and enjoy this savings plus much more. The International Club brings together experienced, like minded souls, who take a positive view and think outside the box..in a constructive…thoughtful way. 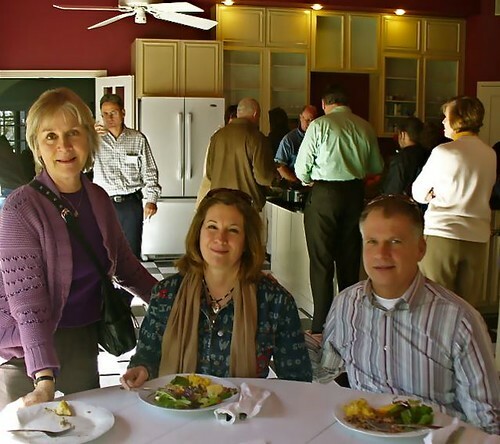 When you join our International Club 2011- Spring 2012 you become part of a special family. The very first member to join the club all those years ago wrote, Thank you for the enjoyable and informative courses. I am pleased to be part of your international family and look forward to continuing my education at the next course. See our 2011 – Spring 2012 schedule below. Normally we only accept membership at the end of each year… but due to the unusual risk we see now, we added this new option to club membership that entitles you to all US courses in 2011 and the Spring of 2012… in the cool Blue Ridge of North Carolina and in Historic Old Florida. The next saving is Seminars via MP3 (or disc) and one Ecuador tour fee is waived as well. You’ll see a very busy 12 month schedule below. Very few club members actually attend every course and tour… but certainly some attend almost all of them! Here are the courses and tours where your seminar or tour fee is waived. Then see more savings below. 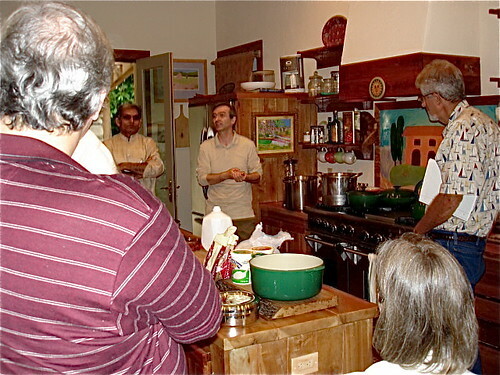 International Club members are invited to our farm during June, September and October seminars in North Carolina. There is even a third saving: $897 more! When you join the club, I’ll email you our online course “International Business Made EZ”, a $299 value, plus four bonuses. You receive the bonus course “Self Fulfilled – How to be a Self Publisher”. which also has a $299 value. Plus I email you the bonus course “Tangled Web – How to Have Your Own Web Based Business” which also has a $299 value. Because our self publishing business has become totally online, I am send you this extra course free as I think it will help you have greater success. These courses are valued at $897… in addition to all the US seminars you can attend. The fifth savings: You gain Ecuador tour savings as a member of the International Club. on the sea. 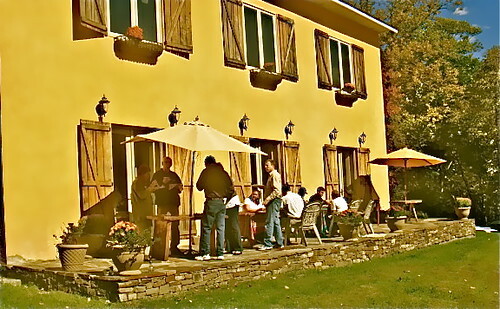 Delegates and International Club members on tour at Land of the Sun Inn. 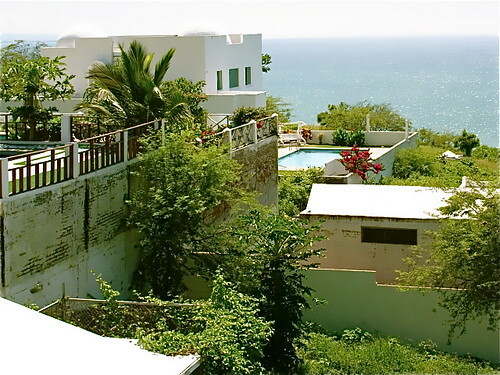 View shot by an International Club member of real estate for sale on an Ecuador Pacific real estate tour. 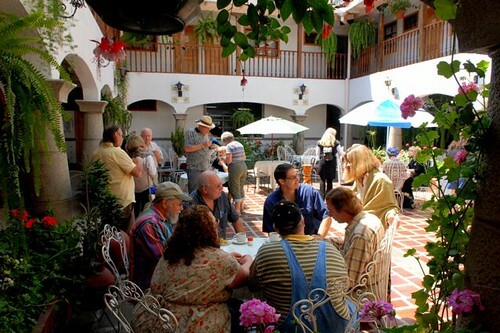 The International Club offers this benefit… as a gift in Ecuador from the organizers of Ecuador Discovery Tours. The International Club fee is normally $1,799 yet during this Spring offer which ends May 7, I have reduce membership to $1,499. You save $300 more. Take for example if you plan to attend our Super Thinking + Spanish, $999 for a couple and one International Investing and Business program, the normal cost would be $1,998. International Club members attending just these two programs would already save… plus could attend all the other Florida and North Carolina seminars plus receive $897 worth of emailed courses. Our seminars and the Ecuador tour schedule is shown above. You can attend all the Florida and North Carolina seminars and choose to accept an Ecuador’s savings. Morya Ecuador Discovery SA has agreed to let International Club members attend one Ecuador tour in the schedule above for just $40 per person per day internal transportation cost. This is a savings of up to $599. Savings #6: YOU SAVE EVEN MORE if you take a Galapagos Cruise. We work closely with Haugan Travel which have expanded their fleet so club members can enjoy a Galapagos cruise for as little as $509 per person. Haugan Cruises has added three new vessels so they have a broader range of cruises to suit all budgets. They now have 5 vessels and are offering several special introductory tours. This creates special savings up to $1,000 for all our readers and provides club members an extra savings of up to $554 more…. a total of $1,554 saved. Savings #7: Membership is normally $1,799 – save $300 more. International Club 2011-12 Membership $1,499 until May 7. Add all the savings together! You can calculate the savings as our schedule of all 2011 courses. Florida & North Carolina seminars you can attend or receive in an MP3 file worth $9,189. emailed courses sent to you worth $897. Ecuador Tour Savings up to $599. $300 membership discount until May 7, 2011. Total Savings from your $1,499 club membership fee. You Gain $10,985 of benefit for just $1,499. Plus more if you take a Galapagos Cruise. Here is one final benefit. When you enroll… we automatically lock in this low fee for next year so your savings are automatically renewed in 2012 and 2013 at $1,499. Of course if you choose not to renew, just simply cancel membership at no cost. Let’s beat inflation. Won’t you join us in this exciting club and share Merri’s and my lifestyle for the next year? We look forward to seeing you at as many courses as possible and sharing this wonderful world of abundance and well being with you! International Club 2011-12 Membership $1,499. Enroll here.